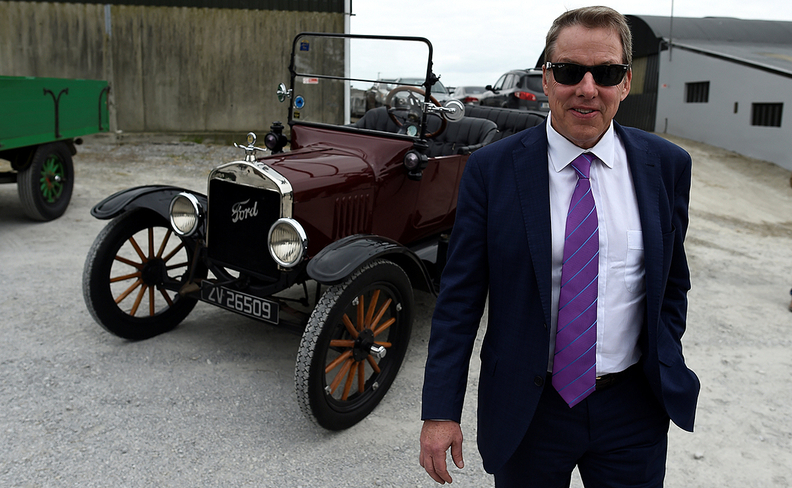 Bill Ford poses with a Ford Model T as he arrives at his great-grandfather Henry Ford's ancestral home in Ballinascarthy, Ireland, on Thursday. 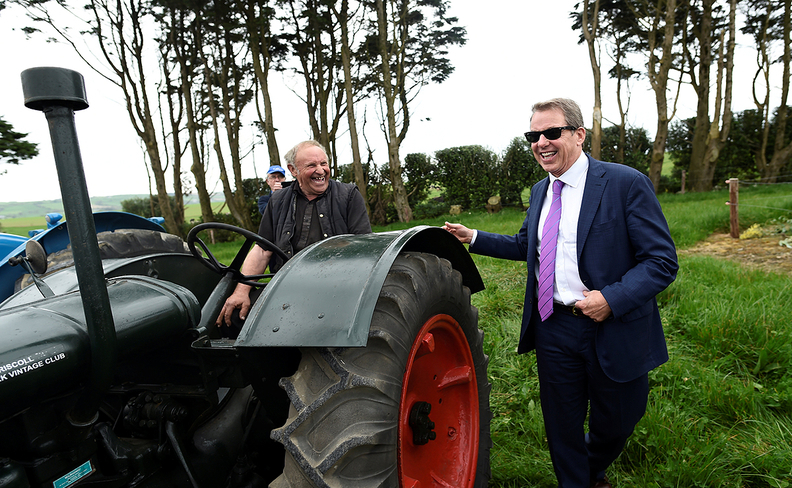 Ford Motor Co. Executive Chairman Bill Ford celebrated his company’s 100th anniversary in Ireland by returning to his ancestral home. Henry Ford -- Bill Ford’s great-grandfather and founder of the automaker -- founded Henry Ford & Son Limited at a marina in Cork, Ireland, in April 1917. It was the first purpose-built Ford factory outside of North America. Henry’s father, William, emigrated from Ballinascarthy -- a village about 50 km (31 miles) south of Cork city -- to the U.S. in 1847. As part of week-long festivities celebrating the centennial, Bill Ford met with his Irish cousin Hazel Ford-Buttimer. Bill Ford was scheduled to unveil a plaque marking the centenary as well as attending a gala event at Cork City Hall. There will also be an event at University College Cork announcing a partnership between Ford and the university, the automaker said. “Ford has deep roots in Cork, not only through my family’s historical connection, but also through the impact that the Ford factory has had as an engine for prosperity for the area over many decades,” Bill Ford said in a statement.